The bowls are contaminated with Cobalt-60, a radioactive material commonly used in industrial gauging equipment. 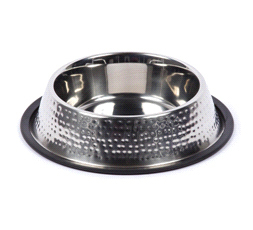 Petco states it doesn't know how the material got into the stainless steel bowls, but the company thinks it came from scrap metal. The country of origin was not disclosed, but the bowls in the second of two containers were stopped at the border when radiation was found. The first container did get through Customs and Border Protection and its contents were distributed to Petco stores. The bowls in the first container, Petco contends, are mostly still in the distribution centers; now, they have been separated from the stores' other products and quarantined. 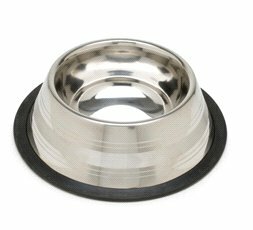 The supplier of the bowls was not identified, but states through Petco that special screening procedures have been put in place, and that it is not aware of issues with bowls shipped to other pet store distribution centers. Nevertheless, Petco has issued a recall, and if you have one of the magic SKU number, you can get your money back. 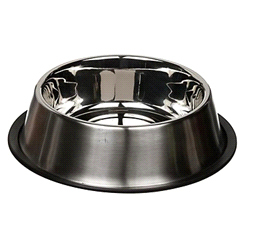 If you have purchased stainless steel bowls from other pet stores that were made abroad, and you purchased them this year, I would stop feeding my pet from that bowl - that's just what I would do.